Our goal is to provide an experience worth inviting and repeating. With groups of 8 or more we have found the following menu choices to be timely and yet still elegant, each delivered on the 3-tiered tray. The tea is served in larger tea pots usually chosen by the hostess and refilled as necessary. 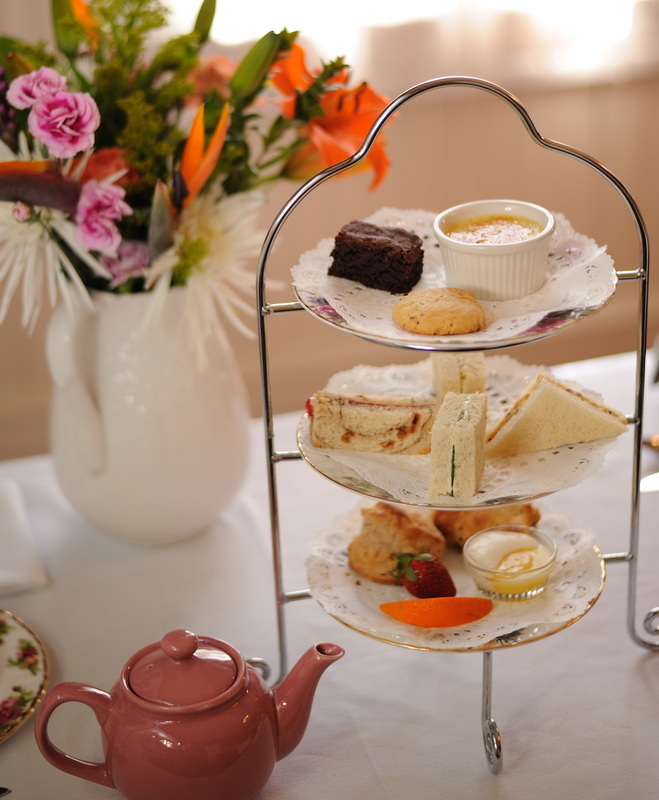 The Queen's tea is essentially one of everything in the kingdom: A slice of quiche, with a side salad, scones (with lemon curd and clotted cream,) assorted finger sandwiches, and assorted desserts. 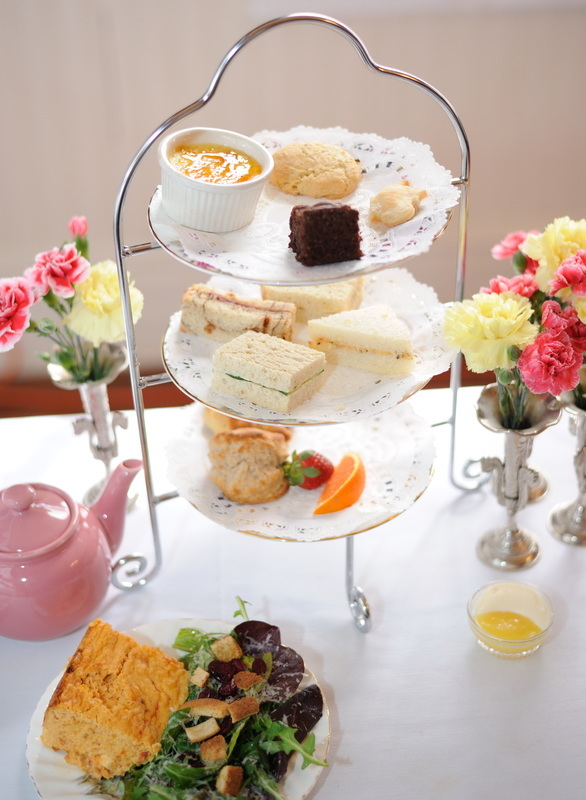 The Princess tea consists of scones (with lemon curd and clotted cream,) assorted finger sandwiches, and assorted desserts. 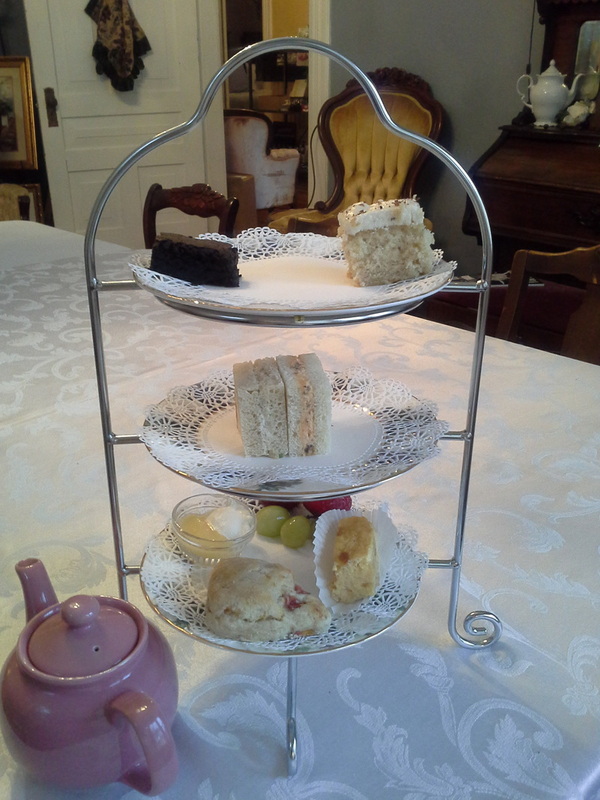 The Duchess tea consists of 1 scone (with lemon curd and clotted cream,) a thin slice of quiche, two finger sandwiches, and two desserts.